Prozac class action lawsuit claims & Settlments Free case review Act Now! There are certain medications that become so prevalent that they are instantly associated with the health problems that they are intended to treat. That is the case with Prozac, as even people who have never suffered from depression generally know that this is one of the drugs that is prescribed for dealing with the symptoms of this serious medical problem. While that certainly speaks to the success and market penetration of Prozac, it also means that if anything is wrong with such a popular drug that millions of people could be negatively affected. In short, a defective drug that is used widely can instantly lead to widespread injuries, illnesses or even worse. While it seems that millions of people have not necessarily suffered from Prozac side effects, enough of them have that lawsuits have been filed and allegations have been made by people of all ages who depended on this medication. The controversy continues in some corners even though there are now other options for people who need to use an antidepressant medication. Prozac is used to treat depression, panic attacks, OCD, bulimia, and a severe form of premenstrual syndrome. Prozac improves your mood, sleep, appetite, and energy level and could help to restore your interest in daily activities. Below is a brief overview of the problems associated with Prozac. Prozac was originally approved for use in the United States by the FDA in 1987, and it is manufactured by Eli Lilly & Company. It is estimated that over the last 26 years, Prozac has been prescribed to more than 50 million people around the world, generating billions of dollars for Eli Lilly & Company. The theory behind Prozac is that taking it will help bring about balance with the brain’s chemistry. This chemical imbalance in the brain is what many believe leads to depression in the first place, so using Prozac minimizes the symptoms of this disease. Younger adults who’ve taken Prozac are susceptible to suicidal thoughts and tendencies. For example, a 14 year old boy from Dublin, Jake McGill-Lynch, committed suicide in March, and it has come into question whether or not his medication of Prozac had a hand in his suicide. Lynch was seeing a psychologist after being diagnosed with Asperger’s syndrome. According to Jake’s father, within ten minutes of meeting Jake, the psychiatrist prescribed him Prozac. The drug has been known to treat autism spectrum disorders. Jake’s parents claim that they were never warned about the risk of suicidal tendencies, and Jake was prescribed the Prozac just weeks before he killed himself. This is not a singular story. There are parents all over the globe asking this question: Does Prozac cause kids to commit suicide? In a clinical study done on infants in four metropolitan areas (Boston, Philadelphia, San Diego, and Toronto), researchers found 637 infants with possible PPH from 97 different institutions. The use of SSRIs, like Prozac, significantly affects an unborn child after the 20th week of pregnancy. Suicidal thoughts – These suicidal thoughts have generally related to younger people who were taking Prozac. Prozac was one of the first SSRIs, a class of antidepressants, to be approved for use in children. Persistent Pulmonary Hypertension (PPHN) – PPHN is a relatively rare but extremely dangerous condition that began to show up in children of mothers who had used Prozac while they were pregnant. Obviously, experiencing suicidal thoughts is not something that should occur when taking an antidepressant medication, and unsuspecting pregnant women would never have guessed that their children would be born with a disease that attacks the respiratory system and ultimately can lead to lung failure, heart failure and premature death. What is Prozac used for? 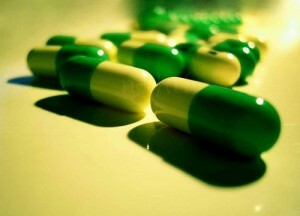 Prozac is an SSRI that treats depression, OCD, and other disorders. What are the side effects from taking Prozac? Persistent Pulmonary Hypertension is a medical condition where a newborn’s circulatory system doesn’t properly adapt to breathing outside of the womb. This is a very dangerous, but rare, condition for mothers who have taken Prozac. Has there been a black box warning for Prozac? In 2007, the FDA issued a black box warning for Prozac about the increased risks of suicidal thoughts and behavior during initial treatment. The FDA considered initial treatment to be the first one to two months of taking Prozac. What are the dangers of taking Prozac during pregnancy? SSRI’s have been classified a Category C safety for pregnant women. When a drug is in this category, it means they have been known to harm animals in large doses, however the effects on the unborn humans are not fully proven. In July 2011, a case study revealed that the use of SSRI’s during the first trimester of pregnancy are linked with an increased risk of autism in a child. Thousands of people have filed claims against Eli Lilly & Co., the makers of Prozac. Although the FDA approved the drug in 1987, there were links to side effects like suicidal thoughts and violent behavior by 1990. The FDA has forced that Prozac’s labels be adjusted to warn users of the dangers; it has not been recalled from the market. In addition, Prozac carries a black box warning from the FDA. Users are filing for lawsuits because they were under the impression that the drug would improve their well-being, when instead they suffer from a variety of terrible side effects that result in mental, emotional, and physical turmoil. In 2000, the manufacturers of Prozac settled more than 30 lawsuits related to murders or suicides with a whopping $50 million. More recently, Prozac has been linked to birth defects including cleft lip, palate, septal defects, and anencephaly, which is a fatal defect in the neural tube. If you or someone you love has suffered as a result of using this medication, contact the Prozac lawsuit lawyers at the Hood National Law Group, today to schedule a free initial consultation.